When visiting Ishinomaki, make sure to stroll through Manga Road! The walk from JR Ishinomaki Station to the Ishinomori Manga Museum is known as Manga Road, where statues of characters created by Ishinomori can be found. 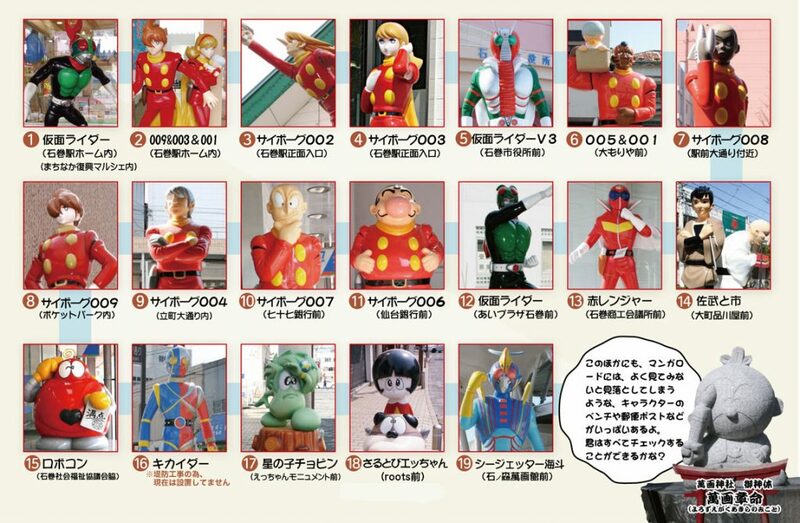 Ishinomori’s characters such as Kamen Rider and Cyborg 009 will welcome you as you walk through. In addition to the main statues, if you look closely, you will find Ishinomori’s characters hidden in many other places such as a bench, postbox and manhole cover. As you walk through Manga Road, it may be interesting to see which characters you will run into. 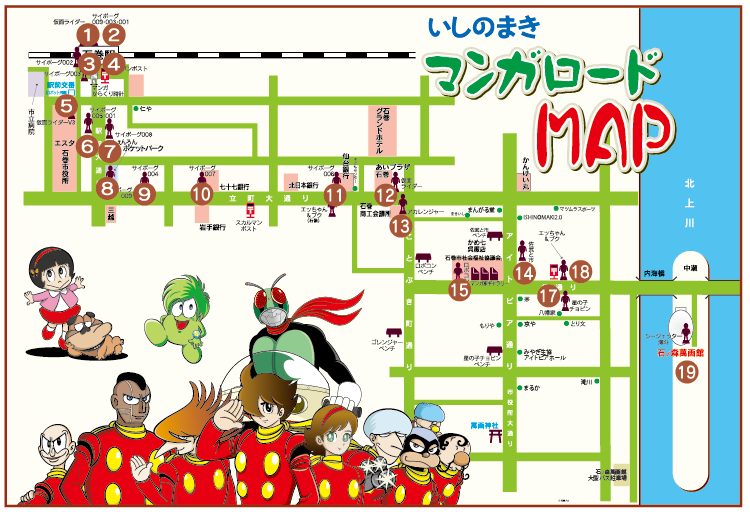 Last but not least, the Manga Road is not just a display of Ishinomori characters, but also includes many different shops offering tasty dishes and fun activities. When visiting the Manga Museum, please take the time to enjoy the walk through Manga Road too, hunting for both Ishinomori’s characters and your favorite shop.